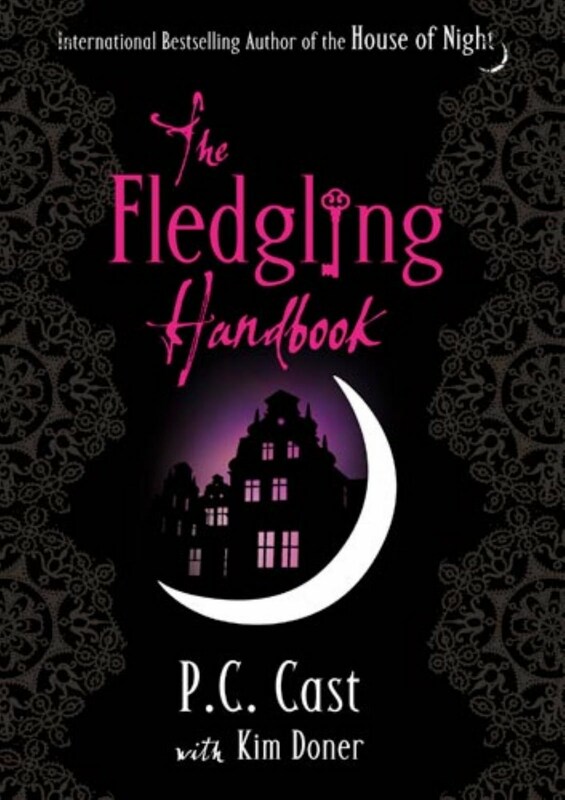 A must-have for any House of Night Fan, The Fledgling Handbook is an inside look into the world of vampires, written as if you were the one receiving the handbook. The Fledgling Handbook is divided into six parts. Part One is the Introduction: it introduces you to life at the house of night with a breakdown of Class Emblems, Fledgling Curriculum, and a place to write your class schedule. Part Two covers Vampyre Biology: it explains how to recognise that you have been marked, The physiology of being marked, the initial symptoms, Permanent Symptoms, Psychological Changes and notes on life and death as a vampyre. It also gives a section for you to note down the changes you have noticed in becoming a vampyre. Part Three covers Everything Ritualistic: How important they are to Vampyre and Fledgling Life, the symbols and incantations involved - what they mean, how to conduct a ritual of your own and the stories behind the traditions of vampyre life. It also provides a place to journal your ritual experiences. Part Four is all about Nightkind Elementology. It helps you identify what element you specialise in and informs you of Vampyrekind celebrations. Part Five is a brief introduction to Vampre history, everything you ever needed or wanted to know about Vampyre History. And finally, Part Six is words of encouragement from fellow fledglings and vampires for those moments when you feel drained of spirit and need a boost. A great present for House of Night fans, this would be suitable for teenage girls. I, being a House of Night fan myself, really enjoyed reading this manual and would recommend it as an interesting afternoon read on a stormy day. Cuddle up with a nice warm drink, light a few candles and get in the mood to immerse yourself in the Vampyre world. - If you follow on Facebook, Twitter or Goodreads, then there is an extra entry for each. For this part, put your username for the respective account. A Comment - if you wish! Open from Tuesday September 6th to Wednesday September 21st! i won't ever now because i should let someone who's a fan of the book win it. good work with the header and symbol of the petition blog, they're brilliant! The House of Night is my favorite series! This is brilliant THANK YOU!! I've recently started reading this series and I definitely need to continue soon! I'm following you on Twitter as @carinalaura. Great giveaway! :D Would love to win.